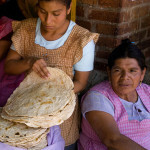 Oaxaca has become a “hot spot” for culinary travel, yet its foods are ancestral. 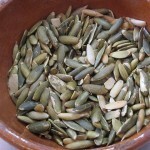 From native corn, to the land of mole and tequila’s smoky cousin, mezcal, Oaxaca is a place to savor with all the senses. 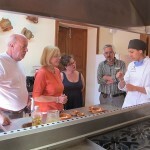 This culinary journey will take travelers on a veritable historic journey, beginning with the ancestral foods that gave rise to the great Zapotec Civilization, the sustenance of Mexico today, and will also showcase chefs who are introducing contemporary expressions of these heritage foods. 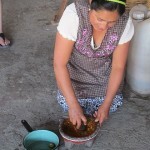 Communities, restaurants, chefs, farmers, mezcal producers, all figure prominently on this journey! 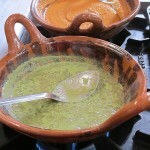 Understand the vast variety of mole sauces: black, red, yellow, green, almendrado and more! You’ll be met at the Oaxaca airport and be transferred to our charming and centrally located hotel. We’ll enjoy a welcome reception, mezcalini cocktail, a martini made with mezcal and local flavors of Oaxaca, such as prickly pear, passion fruit, cucumber, lime and mint! 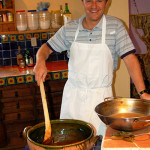 We’ll have an introduction on the topics for the week: corn, mezcal and mole; the ancient and contemporary foods and flavors of this ancient and vibrant cultural region. Through this journey, we showcase the ancestral foods of Mexico and Oaxaca, that gave rise to great civilizations of Mesoamerica. 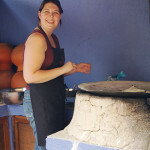 The living cultures and communities of Oaxaca today, make this destination rich and vibrant. Today we’ll begin our immersion in all things corn. Beginning with a presentation we’ll learn of the importance of native corn in Mexico. We’ll explore topics such as: domestication, rise of civilization, veneration, daily rituals surrounding this most important crop that gave rise to Mesoamerica’s great cultures and people. We’ll visit Oaxaca’s Ethnobotanical Garden to learn of the endemic species that have served mankind for medicine, food, clothing, dyes, drink and more. Here, we’ll see the pre-domesticated corn, known as “teosintle” and learn how its domestication over a period of approximately 2,000 years, initiated agricultural settlement and the advent of civilization. 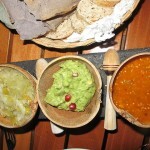 We’ll enjoy lunch at Itanoni, a restaurant whose mission is to preserve native corn varieties. 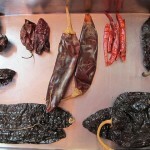 We’ll experience and savor the multiple native corn varieties; black, red, white, yellow from Oaxaca’s Central Valleys. Today, farmers and producers of this native corn are working to maintain the viability and commercialization of these corn variants, stemming the tide of the GMO, homogenization efforts taking place worldwide. 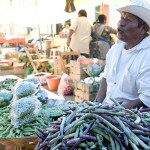 Following, we’ll explore the markets of Oaxaca City, the Benito Juarez and 20 de Noviembre food and craft markets. 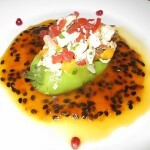 Dinner is at Los Pacos, to explore the world of mole sauces. 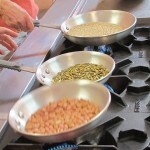 From yellow, red, green, black, some with almonds and some with capers, we’ll learn what makes a mole a mole! 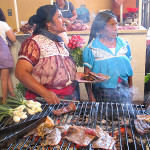 Today begins at the Sunday market in Tlacolula, a community in the Eastern Valley of Oaxaca’s Central Valleys. 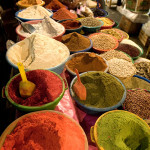 Travelling :45 we’ll reach a town and market that has been trading, bartering and selling in much the same way for over 2,000 years. 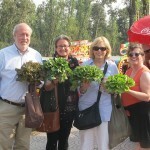 We’ll explore the food stalls, learning of ingredients, including the Mexican trilogy of corn, squash, beans. 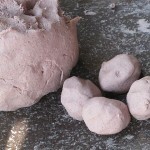 Cacao, a special drink called “tejate” and other regional specialties will be explored and savored. From here, we travel to the Zapotec community known for its fine wool tapestries, Teotitlan del Valle, where we’ll visit a special family and cooperative, to learn about the revival and use of natural dyes. We’ll enjoy a delicious lunch of home made quesadillas with squash blossoms, salsa from “chile de arbol”, and of course some delicious mezcal! We’ll leave time for some shopping and walking in town to walk off our lunch. 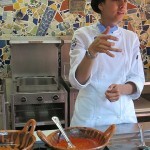 Our evening back in Oaxaca is at leisure to explore independently, as this vibrant town is at our hotel’s footsteps. Today we go back in time about 3,000 years. By visiting El Mogote, we’ll learn about the first village settlements that began following the domestication of corn and agricultural settlement. While it all began here, great Civilizations eventually arose, as societies began to stratify. Monte Alban became the first urban center of Mesoamerica, and an important center of power for 1300 years. We’ll enjoy a light lunch on-site, overlooking Oaxaca’s Central Valleys, much as the Zapotec rulers did from this mountaintop location. Returning to Oaxaca, our afternoon is at leisure. In the early evening, we’ll visit a favorite Art Gallery for a reception and viewing, before heading to dinner at elegant and delicious El Catedral Restaurant. After breakfast, we head out on what is known as the “Southern Craft Route”. Beginning in the town of Ocotlan, birthplace of artist Rodolfo Morales, we’ll visit the Museum and Convent that Morales lovingly restored. 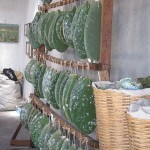 Nearby, in the town of Santa Catarina Minas, we’ll explore the world of mezcal. We’ll visit a very special producer and distillery that carefully regulates production and consumption, so as to reach a sustainable balance. 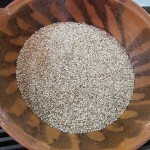 Given the popularity of mezcal today, we believe this awareness and practice is important. 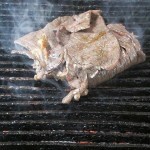 Our lunch is at a favorite restaurant, to enjoy our comida “al fresco”. The food here is delicious! We’ll visit artisans in the communities of Santo Tomas Jalieza, known for their cotton backstrap weavings, and in San Bartolo Coyotepec to learn about the black pottery, made so famous by Dona Rosa, We end our afternoon at the Museum of Popular Cultures, in the same town. 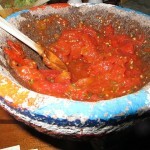 We enjoy our evening in Oaxaca, to explore independently. 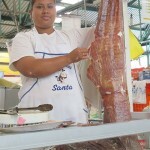 We travel to San Agustin Etla, as today is market day in this town, known for its cheeses. 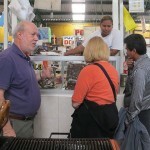 We’ll explore the market, then visit the Centro de Artes San Agustin Etla, founded by Maestro Francisco Toledo. Returning to Oaxaca City we have free time to visit coops and art galleries before we head out to a favorite “mezcaleria” for a small plate and mezcal paring. 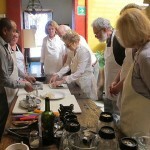 On our last day in Oaxaca, we’ll bring it all together in a Cooking Class! We’ll gather ingredients that we have become familiar with, and with the help of one of Oaxaca’s renowned chefs, we’ll create our own culinary masterpiece and enjoy a meal together. After lunch, the afternoon is free, for perhaps one more visit to Oaxaca’s Zocalo, to sit and people watch. We’ll gather in the evening for our festive but sad farewell dinner, rooftop, overlooking the Santo Domingo Church complex, at Chef Alejandro Ruiz’s Restaurante Casa Oaxaca.